As they create too much fun, so most of pet lovers tend to keep their cats and dogs with them all the time especially while going for an outdoor visit! 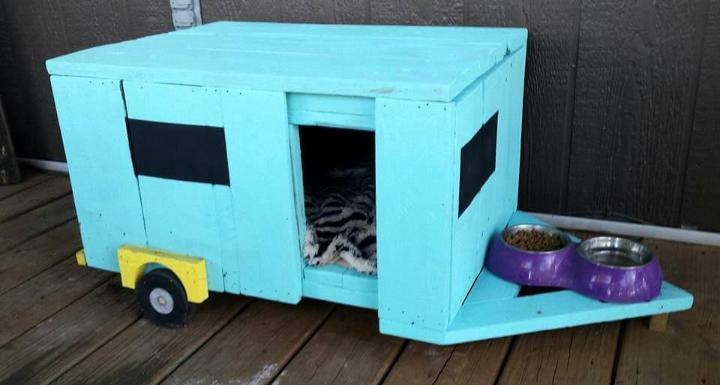 For such a pet lovers this DIY pallet cat camper or dog house has been made which would all make it easy to install an instant residence and a feeder anywhere at your outdoor! The same camper vehicle is here but made all in wood medium and also comes on wooden wheels! To duplicate the real camper look there is also a spare time fixed to rear of this wooden vehicle as stepney tyre! The entire cat camper is having a precious turquoise appearance while rear bonnet is having a charming yellow shade! Front is triangular here and can hold well those cat feeder and then entire camper can also be dragged by pulling the front having also a short wooden bottom support to keep camper stand in a balanced way! 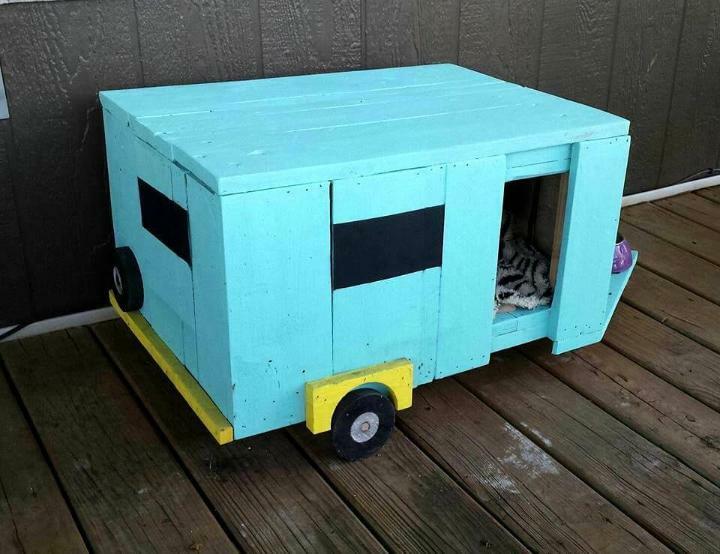 Do clone this pet house for your cat or dog if you are willing to gift here something special!